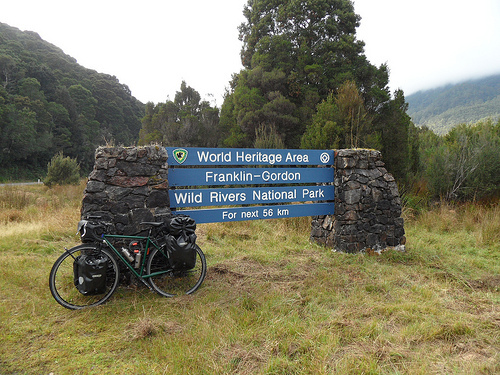 Franklin Gordon Wild Rivers NP is in Tasmania. 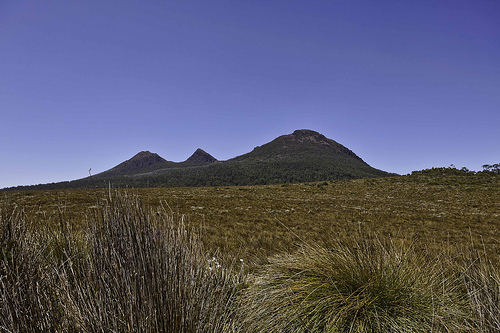 The Wild Rivers National Park is a fairly large national park in south western Tasmania, although most of it is inaccessible unless you are a very experienced bushwalker. There is a beautiful scenic drive in the northern end of it, and access to short bushwalks. The park protects Franklin, Gordon, Jane and Denison rivers where you can go on river cruises and white water rafting. Here is some information about the park, and in the end of the page is a map of the area. 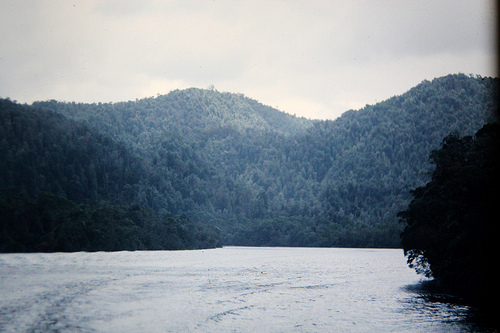 The Franklin Gordon Wild Rivers National Park is Tasmanian World Heritage Area, along with Cradle Mountain Lake St Clair National Park and the South West National Park. 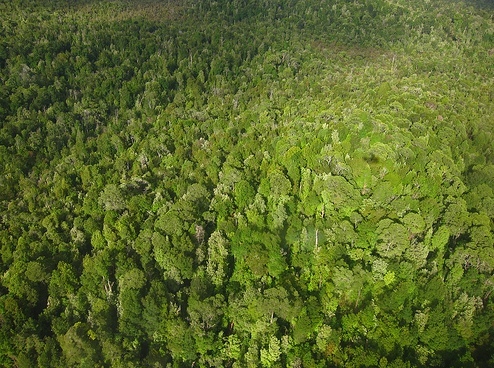 This is one of only three remaining wilderness areas with temperate rainforest plants and animals in the Southern Hemisphere and it contains some endemic species. Some temperate rainforest animals include echidna and platypus, Tasmanian devils, common wombats and ringtail possums. The easiest access to the park is from the Lyell Highway in the north, which is a beautiful drive with many picnic grounds along the road. At the King William Saddle is the northeastern entrance to the park. In the northwestern side is Nelson Valley 30min from Queenstown, and 44km south of Queenstown is Bird River, another access point. The roads may be slippery with ice and snow during the winter. Tasmanian weather is very unpredictable so take care and be prepared for cold rainy weather even during the summer months. 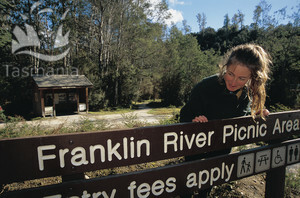 The main visitor centre is at Franklin River. There are picnic tables, toilets and park information there. There are camping grounds at Collingwood River with fire places. Another camping area is at Kelly Basin but there are no fire places there, and fire is prohibited in most of the park to prevent bushfires. Closest places to buy food are Lake St Clair and Queenstown. You can drink water from the streams in the park only after you have boiled it. There are both short and long walks in the park. The shortest ones are Franklin River Nature Trail (5 - 25 minute walks), Donaghys Lookout (40 minutes return), and Nelson Falls (20 minutes return). A bit longer walk is the walk to Kelly Basin (3 - 4 hours return). 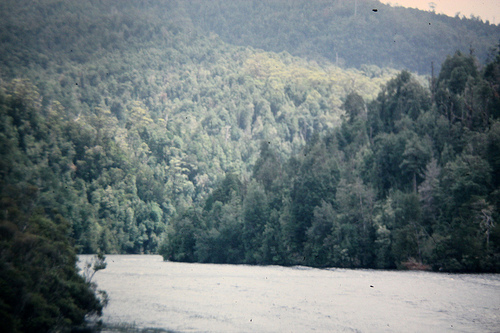 It follows the Bird River south to Kelly Basin and Pillinger. Frenchmans Cap walk is a long and demanding trip which is only suitable for experienced bushwalkers. It starts west of the Franklin River bridge where an easy stroll takes you to Franklin River. From here, it will take you 4-5 days to the summit of the Frenchmans Cap and back. This track is more demanding than many other Tasmanian bushwalks, such as the Overland Track in the Cradle Mountain Lake St Clair National Park. So make sure you are experienced enough and very well prepared. You have to carry all your food and gear with you. Bring warm clothes and register yourself at the Walkers Registration at Franklin River for your safety. There are two huts along the track where you can stay overnight – Lake Vera Hut and Lake Tahune Hut. Don’t rely on their availability though as they may be taken, so always carry your tent and be prepared to camp on the camping grounds. The camping grounds along the track are at Franklin River, Loddon River, Philps Creek, Lake Vera and Lake Tahune. The estimated time to make it from the start of the walk to the Lake Vera Hut is 6hrs; from Lake Vera to Lake Tahune another 4hrs; and from Lake Tahune to the summit 1-2hrs, however these times can vary depending on the weather conditions and your fitness. The Franklin and Gordon Rivers are also popular with other activities such as river cruises and white water rafting. The white water rafting and kayaking trips on Franklin River start at Collingwood. Nearest accommodation, other than camping, is in Queenstown and St Lake Clair. Been to Franklin Gordon Wild Rivers National Park?